Summary: There is no need to read this entire post, it is long and full of science. If you want the take home message, then here it is. Lifewave patches are placebo. In other words, they are very expensive pieces of gauze with a sticky bit. If someone has told you that they cure certain conditions, then you should ask them for evidence, since there is nothing to show that these patches work, none, ever. They are making it up, or they are deluded, or they are lying. You decide. Search for evidence. I bet you don’t find it. Elevate your blood glutathione levels by over a whopping 300% in just 24 hours! The next miracle cure has arrived. Lifewave miracle patches are currently touring Australia giving seminars on how to become a distributor. The series of five pads are known as Energy Enhancer, Icewave, Silent Nights, Glutathione and Sp6. And like most miracle cures these guys can treat or “assist with” everything and anything. For example the energy pads, relieve symptoms of fatigue, loss of sleep, nervousness, exhaustion, muscle weakness, drowsiness etc. and support energy production, breathing and stamina. Icewave is the pain relief pad, and assists with the temporary relief of arthritis related joint pain, general body aches, stiffness; soreness, swelling & bruising due to falls or blows, headaches due to stress, strain or illness, spasms & cramps due to strain or injury from overexertion. Silent night plus is for symptomatic relief due to exhaustion; inability to fall asleep, restlessness, tossing and turning, sleeplessness, due to stress or worry. Light sleeping, overactive mind, tension/anxiety, nervous exhaustion, and insomnia. The glutathione booster is anti-ageing (and anti-autism but more on that later) and Sp6 is a weight loss and appetite control patch. Do a Google search for LifeWave and you get a lot of hits for scam websites, pyramid marketing and multi-level marketing (MLM). On the Worldwide scam network website they get an entire page dedicated to their dubious claims. Lifewave is headed by the patch inventor and president, David Schmidt. He is not a doctor or a scientist. 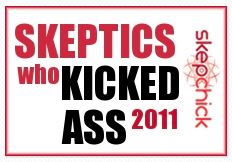 According to WWSN, he has no apparent history, no formal education, no professional experience in his field, no published peer review of any research into any of the so-called technology associated with his patches or any science whatsoever. But the health and science director of the company, Dr Steve Haltiwanger is a proper doctor with qualifications from the Medical College of Georgia. Dr. Haltiwanger has a public record which establishes him as an educated professional with degrees in psychiatry, neurology, medicine, chemistry and pathology, professional memberships, awards, publications, academic appointments, medical licenses, and an impressive work history that spans 34 years. However he also has a wide range of interests that run the gamut of alternative medicine, unconventional therapies, and radical theories. Evidence that even highly educated people can believe ridiculous things. This sounds a lot like someone has put some sciencey words in a hat and pulled them put at random Mr Schmidt. Let’s look first at the claims about infared light. Photobiomodulation is a term peppered throughout their material and this is in fact, a legitimate scientific technique. It has been shown to be effective in wound healing, but this requires light to be shone on the wound. I can’t see any evidence for light being chanelled into these pads. It just doesn’t make scientific sense. Whilst infared light does exist and can be used for some therapies, exactly how these pads apparently do this is not explained. 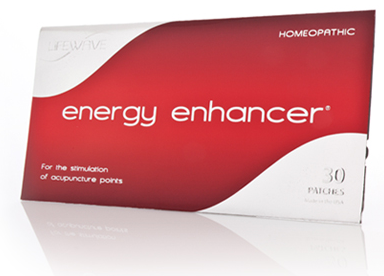 The Energy Enhancer patches apparently “stimulate acupuncture points on the body for improving the flow of energy and producing drug-free energy enhancement within minutes of use”. This apparently has something to do with light being chanelled down the meridian lines. Well I’m afraid people have been searching for the elusive meridian lines for centuries and we have yet to find them. There is still no physiological evidence that meridian lines exist. There is also a patch called glutathione which is supposed to be anti-ageing since it will apparently; “elevate your anti-oxidant levels by over 300 percent in one day”. And the website proudly displays a graph demonstrating this increase (see above). There are articles all over the website under the research tag, but none appear in peer reviewed scientific journals. Sorry to be boring Lifewave but as a scientist, I require evidence for such extraordinary claims. And I’m not sure how “stimulating acupuncture points through light can increase levels of glutathione”. It’s very difficult to critique this statement, because scientifically it just doesn’t make sense. Of course there are plenty of testimonials from satisfied customers, even some pretty important people like Olympic athletes and National Football League players. But I will get onto this a bit later. In any case, none of this is important when you discover that LifeWave products are homeopathic. Which means that they likely have nothing in them. So what’s the point in discussing the science if what we really have here is a piece of guaze and some water, maybe. Mr Schmidt claims they contain amino acids, oxygen sugars and water and it’s the amino acids that do all the work. But all I found on the website was a list of homeopathic ingredients. So if they contain water and oxygen how can they cure autism? 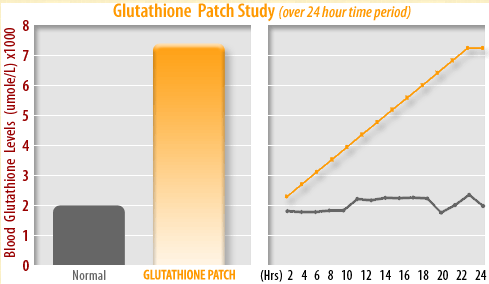 According to an audio testimonial buried in the bowels of the website, the glutathione patch has been helping kids with autism. There are two testimonials, one from a father of a 6 year old boy who says he has tried everything including foot baths (?) and as a last resort sought a blood transfusion for his son, to remove the mercury from his system deposited following immunisation. I assume the reference to mercury comes from the scaremongering about thimerosal, the organomercury compound used as a preservative in some vaccines (but as I discussed last week, thimerosal was removed from childhood vaccines in the year 2000 as a precaution and recently the Autism Omnibus case in the States ruled there is not link between autism and thimerosal). You might be wondering how Lifewave get away with making such extraordinary claims about a homeopathic patch that likely contains no active ingredients. Well here’s the trick. They don’t officially claim their glutathione pads assist kids with autism – a couple of satisfied customers do. You won’t find this claim in any of their promotional material or on their website. And whilst it is clear from the testimonial that the client was told this by a Lifewave distributor, Lifewave do not have control over what the their distributors say. Whilst they can request they do not say this, ultimately they do not have control. So that’s them off the legal hook. Dubious and deceitful. Especially when it come to an emotive and debilitating illness like autism for which there is currently no cure. Lifewave are currently in Australia doing seminars and recruiting distributors. A paper from Dr Steve Haltiwanger, entitled The Science Behind Lifewave Energy Patches, not published in a peer review journal, makes for some fairly entertaining reading. » Update on the LBC affair, we get a showing on ITV London!